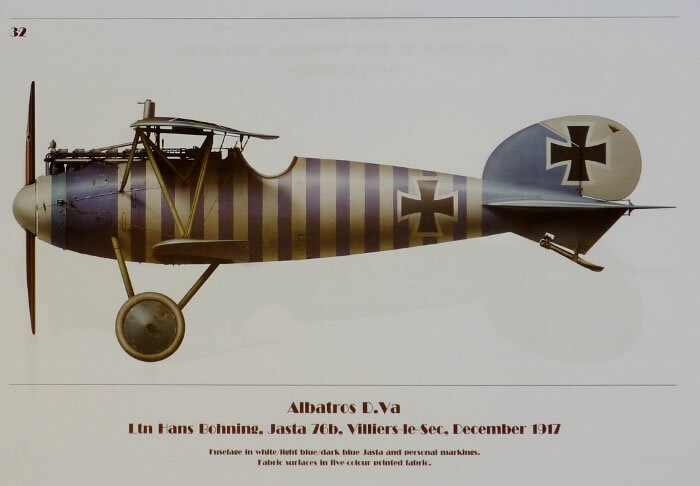 This book from the new series “Spotlight On” shows detailed drawings of the German famous WWI fighter family – Albatros. Book contains colour and very detailed profiles showing the variety of the Albatros family camouflages with very comprehensive captions. Advantages: Large format; superb artwork; variety of colour schemes; all major variants of the D series represented.. Conclusion: As the title suggests, this hardback publication puts the spotlight on Albatros fighters of WWI. It is not a history of the type’s development or of its role in the German Air Service. It is profile book that illustrates the various colours and markings that decorated this famous aircraft. The artwork is first-class and all production versions are covered. Unfortunately only pilot and unit information is supplied with each aircraft. That’s a pity because the publication could have been a lot more than just a “picture” book.. 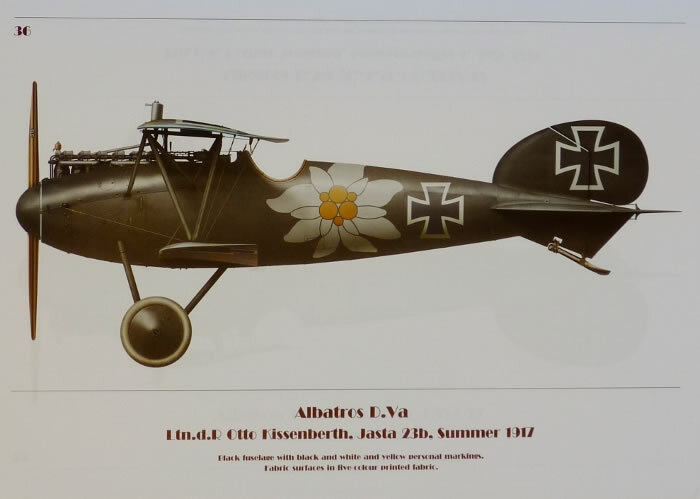 The Albatross fighters of WWI were some of the most colourfully decorated aircraft in the German Air Service. So it comes as no surprise that they have been the subject of many profilers over the decades. One such illustrator is Dave Douglass whose work will be well known to those that have visited the Aerodrome Forum. This book is a collection of his work which started in 2011. There are 41 different images spread over 44 pages. The artwork is superb and it’s clear that Douglass has an obsession with Albatross Scouts. The attention to detail is excellent. One example is the depiction of the water header tank associated with Prince Friedrich Karl of Prussia’s D.I. It portrays the scarcer frontal version as opposed to the more common type that was positioned above the cylinder heads. The range of aircraft is excellent with the D.I, D.II, D.III, D.V, and D.Va all being covered. There’s a diversity of colour schemes as well as an example in British hands. Aficionados will recognise most of the livery displayed and the large A4 format is the perfect way to showcase it. However, I did come away wishing for something more. Each profile only gives the port side of the aircraft but in many cases it’s clear that markings were applied elsewhere to the airframe. It would have been nice to have additional artwork showing the Jasta colours on the tailplane and/or personal motifs on the wings. Although each profile has a caption naming the pilot and their unit, a little history of either the man or his machine would have added more appeal. Many of the subjects could easily have accommodated this, thus further drawing the reader into the subject matter. Yes, it may have doubled the size of the book but considering the modest number of existing pages, one wouldn’t have thought it a major hurdle. Despite the above, this is a great “picture” book. It provides some splendid eye candy for the WWI aircraft modeller with good attention to detail. However, if you wish to know more than just the basics about the profiled aircraft and their mounts, then you’ll have to search elsewhere. 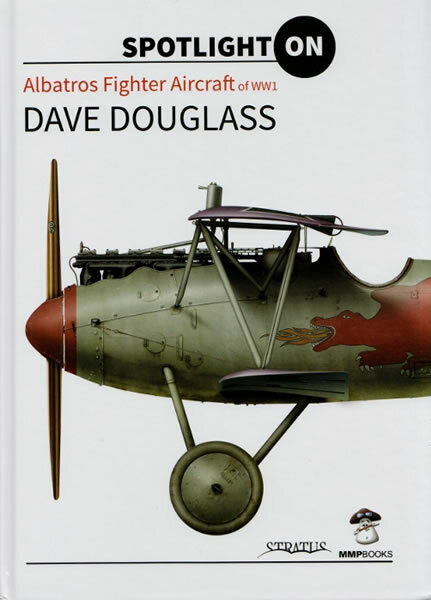 Mushroom Model Publications has released the first of their new Spotlight On series featuring more than 40 of Dave Douglass's Albatros fighter profiles. The hard cover book measures 12"x8.5" with pages of a nice of heavy, glossy stock and is read like a calendar with the pages flipping up instead of to the side. This was done to layout the profiles full width, one aircraft to a page, maximizing the size of the artwork. The description is a bit misleading, stating "drawings" when it probably should have just said "profiles." A visit to the MMP website shows a video comprised of each page of the book. This is a book of profiles, pure and simple, though the word "simple" certainly doesn't apply to the artwork. The text is limited to the Introduction, Select Bibliography and the description of each profile. The descriptions are minimal but have everything you need to know. They list the aircraft version, serial number, pilot, unit, date and finally the wing camouflage style. 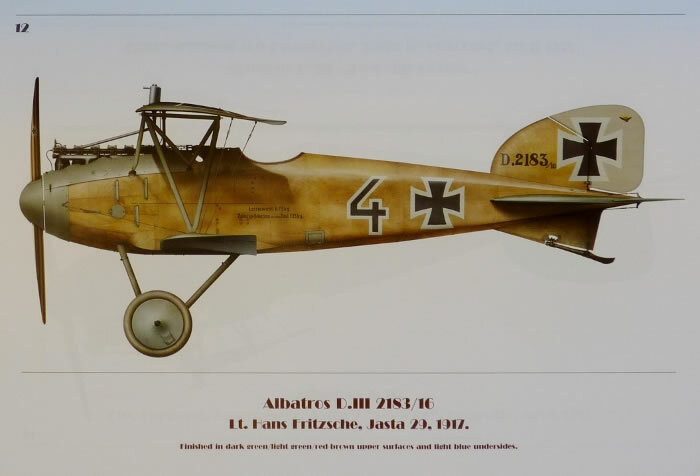 The Albatros lends itself very well to this type of book due to the wide variety in the varnished wood, painted metal and factory finishes, as well as the huge selection of Jagdstaffe and personal markings. On top of that, it's just a darn good looking airplane. The larger size on the page allows you to appreciate not just the overall artwork, but also the smaller details included in the profiles. Mr. Douglass has an eye for detail and obviously spent many hours working to get the most accurate profile for each type and manufacturer possible, not just the paint but the detail differences of engines, airframes, etc. I really like this book. The quality of the printing, the layout of the profiles (big and not in the gutter of the pages) and the picture-only format win me over. The realistic lighting and weathering of the planes appeals to me as well, and the attention to detail is icing on the cake. 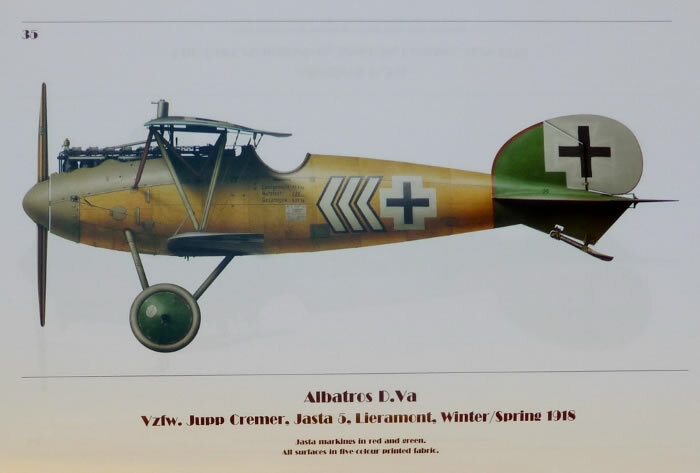 My one criticism is I would have liked to have seen a small photo of each aircraft pictured included on the page, but any fan of the Albatros is bound to have other sources to fill that gap.